Hello to all! 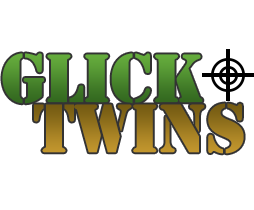 If your reading this then you have found GLICK TWINS new website. We are very excited about it and hope you enjoy it as much as we’ve had building it! This little section of the website is a forum where we can address topics of the day, discuss hunting rifles, ammo, new products you might have missed or just rant about current situations. We hope you find these articles interesting and welcome your feedback. The number one thing we’ve been getting asked about recently is still the ongoing ammo shortage. THE GREAT AMMO DROUGHT OF 2013 begins like most stories at the beginning. A tragic shooting occurred. The media and politicians, not understanding the situation, called for gun control in a mistaken belief that it would have prevented the event in that school if it had been in place and would prevent similar events in the future. Once Americans realized their guns were in danger they reacted in a frenzy not seen before in the industry. Tactical rifles, also known as AR-15’s, were purchased in the belief they might not be available in the future. And everybody knows a firearm without ammo isn’t much good, so the ammo was bought up by the case. As the weeks went by, and more and more news about draconian gun laws came to light, rumors and misinformation spread. No one knew what might happen. The supply of guns and ammo continued to dwindle. People got a little panicky when they couldn’t find the ammo they wanted and the racks of guns became increasingly bare. So they turned their attention to other guns and calibers. A .22 rifle makes a fine “all around” hunting, defense and survival tool. Most gun dealers keep several cases of .22 ammo in stock at any given time and restocked as they need to, but as the ammo was being sold, less and less was coming in from the whole-sellers and factories. The long and short of it is that the .22 ammo supply got sucked dry all the way to the factory door. Ammunition manufacturers responded by increasing production but the demand out paced the ability to produce it fast enough. This situation spawned the rationing we are seeing now. Every gun shop had ammo on order when this “drought” hit, but the factories, due to unprecedented order increases, couldn’t fill each order fully. They shipped some of each order but that got consumed by the ammo hungry public as soon as it hit the shelves. And so it went for the next few months. Law makers attempts at gun control failed in Congress so firearm supplies eventually returned to nearly normal, but ammo didn’t bounce back as quick. The supply of ammo coming into gun-shops HAS gotten better recently. More and more folks are reporting “finding ammo” they couldn’t get before. The American industrial machine is in high gear and pumping out all the ammo it can as fast as it can. As long as there isn’t another tragic shooting, or some such thing any time soon, we should be able to buy any kind of ammo we want and AS MUCH AS WE WANT by the end of 2013 to Spring 2014. Keep your fingers crossed.